Gorgeous precision cut untreated unheated Tanzanite being 2.8 carats in size opposing a 0.48ct Diamond being F colour and VVS quality hand made by QVJ in an 18 ct Gold mount. Side aspect of the Lemon Citrine ring above. 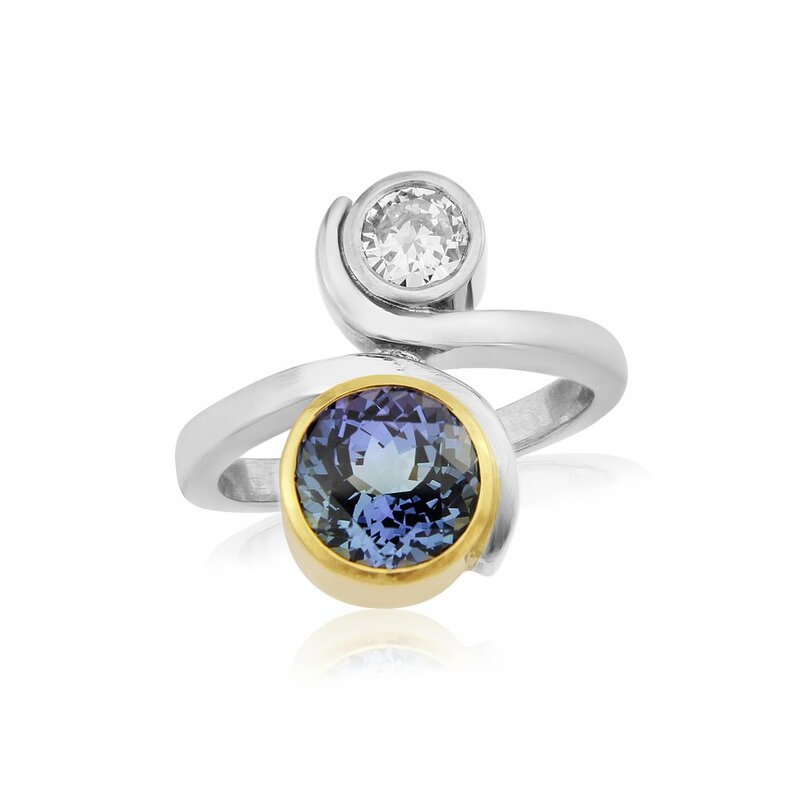 Sapphire and trilliant diamond spray style ring hand made by QVJ in 18ct Gold. Side aspect of Tanzanite ring above. 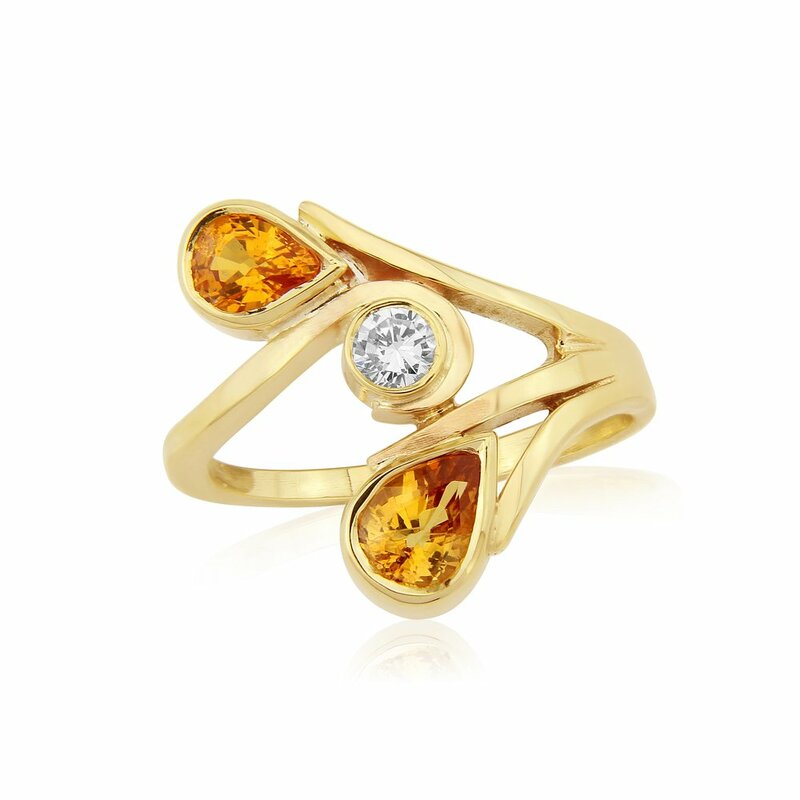 Unusual Orange Sapphires with a Diamond in spray style dress ring hand made by QVJ in 9ct Gold. Padparadscha Sapphires and Diamond spray style dress ring hand made by QVJ in 18ct Gold.